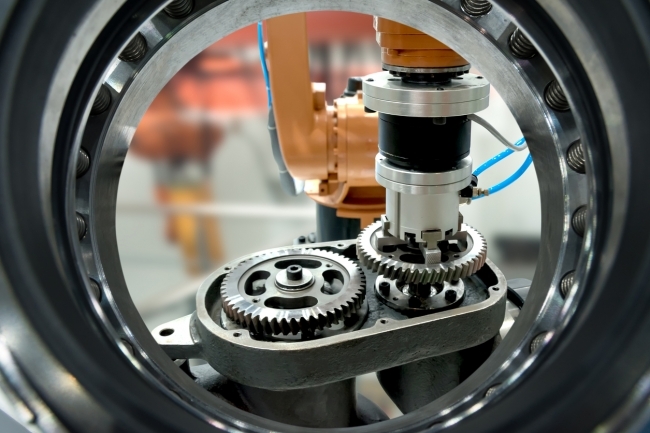 A new report out today from EEF, the manufacturers’ organisation, and accountancy and business advisory firm BDO LLP, shows that the manufacturing industry continues to increase its importance to the UK economy. The report highlights growth in either: the number of companies, the total number of jobs, productivity or economic contribution, in every single region of the country – a real positive for the sector and the country currently. Zenoot takes a look at each region and its performance. 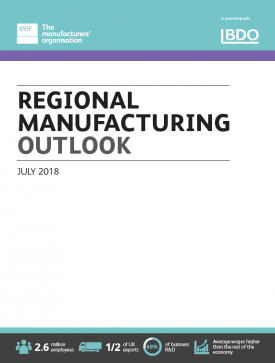 The number of manufacturing businesses in the region has grown by 3.1% in the last year alone, while the number of jobs has increased by 7% since 2010, representing the second highest growth rate of any UK region. Overall North East manufacturers have seen momentum continue to build throughout the past year, culminating in one of its strongest ever output balances. This impressive activity has been underpinned by strong demand, with order books looking healthy across the past 12 months, illustrating the region’s impressive turnaround from the lows of late 2015. Overall North West manufacturers have built on the momentum seen in 2017, recording healthy output and order balances across the year. This impressive performance has come about as a result of healthy demand emanating from both home and foreign markets. In particular, this is influenced by the dominant pharmaceutical industry, given that it makes up almost a fifth of manufacturing in the North West. Transport, especially aerospace, has been a strong performer for the North West on the back of strong order books and a seemingly insatiable demand for air travel. The North West also continues to be a strong export performer, accounting for almost 10% of total UK manufacturing exports. The East of England’s output and order balances have continued to grow solidly over the past year, driven by a robust export order pipeline. 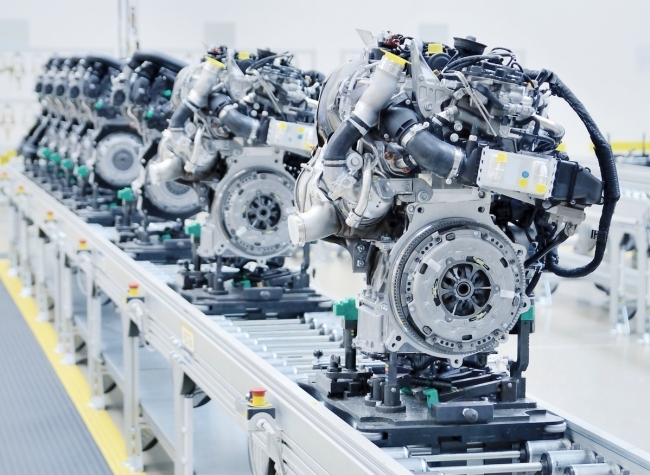 In line with the broader manufacturing trend, however, average balances were tempered by a weaker second quarter in 2018 as momentum in the region begins to ease. The region has the second highest number of manufacturing businesses in the UK (behind London & South East), accounting for one in ten jobs and approaching one-fifth of the West Midlands’ economy overall. In line with the broader manufacturing trend across the UK, local manufacturers have seen a tailing off in activity and demand from the lofty heights recorded last year. That said, average output, total orders and employment balances for the past year all remain healthy, and regional manufacturers have had a strong year despite the recent slowing. Mechanical equipment manufacturers, in particular, have benefited from the global upturn and the supportive boost sterling’s depreciation is having, while metals – despite construction’s poor performance – have been boosted by rises in steel prices and measures to reduce global supply. Overseas, the West Midlands remain a strong export performer, accounting for 11.9% of total UK manufacturing exports in 2017 – the second highest of any UK region. Over the past five years, the London & the South East has consistently been one of the best performing UK regions, outperforming the UK average in all key indicators regularly. The latest 12 months has seen this trend continue with the region arguably the star performer, recording the highest average output and orders balance across the UK, and backing this up with solid recruitment activity. London and the South East’s strong activity has been underpinned by the high degree of manufacturers that serve the domestic and consumer-orientated food and drink sector, as well as the export-focused aerospace sector, which has excelled on the back of strong global demand. 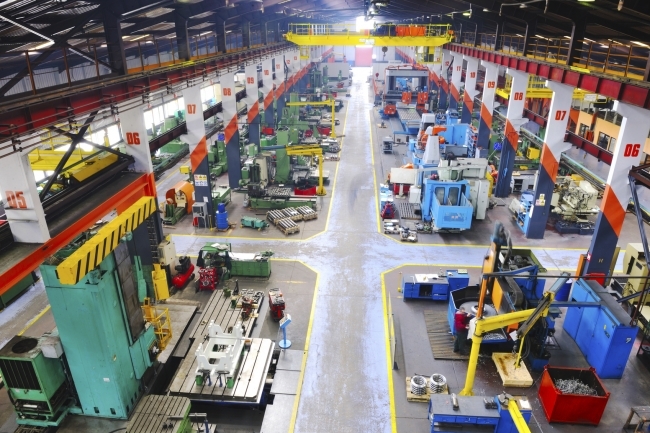 Both the number of companies and jobs in the manufacturing sector are continuing to increase. The report highlights the critical importance of manufacturing to the East Midlands economy. The sector has seen manufacturing jobs increase by 8.8% since 2010 and now employs 297,000 people, representing 12.3% of the region’s workforce. The sector also accounts for 16.7% of regional output – a higher contribution than any other region in England. After an exceptional end to 2017, in which the East Midlands recorded historic highs, the region did slow at the start of the year as a result of an easing in both domestic and export demand. Despite this, average balances for the year are all still positive and in double-digit territory, with investment and employment intentions, in particular, holding firm on the back of the strong demand seen in the second half of last year. Wales has 5,650 manufacturing companies, with the sector accounting for almost one in ten jobs across the country and almost a fifth of the output of the Welsh economy overall. Overall, the report shows that manufacturers in Wales have experienced a positive year on the back of mainly strong overseas markets, with stable employment activity and, most encouragingly, a significant upturn in investment intentions. Thanks to these results, Welsh manufacturers are optimistic about their business and their confidence indicator is the highest recorded amongst all UK regions. Optimism is also reflected in their capital expenditure intentions, which were consistently strong across the year. Transport equipment continues to be the country’s largest sector with a share of 18.4% of manufacturing, up from 17.1% last year. The well-developed transport supply chain and the presence of aerospace manufacturing also helped boost the Welsh economy. The region has 12,165 manufacturing companies, an increase of 2% since last year. The sector accounts for one in ten jobs and 14 per cent of the Yorkshire & Humber economy overall, a figure firmly above the national average. The report shows the manufacturing sector in Yorkshire and Humber grew strongly over the past year, with average balances across the four main indicators consistently exceeding the UK average. Impressively, the region registered its best performance in three years at the end of last year. Order books in the region were driven by overseas markets rather than domestic ones. 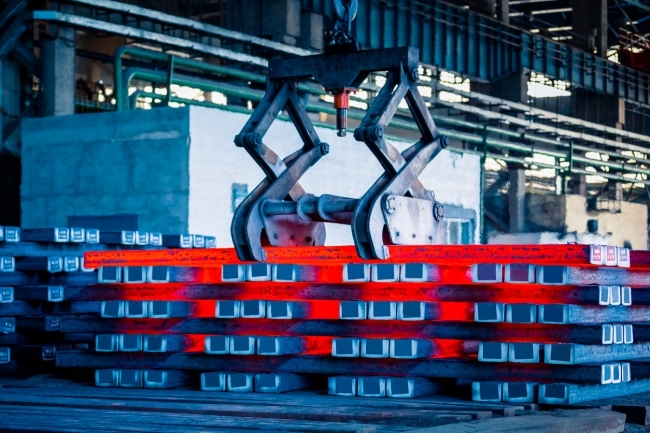 The recovery in the export-intensive metals sector, especially in steel, which is the region’s second largest sector is likely to have provided much of this support. Food and drink remains the main manufacturing sector in Yorkshire & Humber with a share of 23.4% of manufacturing in the region, up from 20.1% reported a year ago. The positive orders and output activity over the last year was also reflected in high levels of employment and investment activity. Manufacturers in Yorkshire and Humber were extremely active with balances exceeding those reported in the rest of the UK in every quarter of the last year. The South West, while recording growth in its output and order balances over the last year, has had a mixed year in comparison to other UK regions. The region’s manufacturing productivity levels are also under par, coming in at 96.4% of the national average. Despite this, the contribution of manufacturing to the overall South West economy continues to grow and now accounts for 11% of the regional economy, which is above the UK average. Export demand continues to provide the bulk of growth in the region with the large presence of manufacturers in the high-performing aerospace sector driving expansion. An insatiable demand for air travel means healthy pipelines of work in hand should provide further support, albeit less than in previous years. Overall, the South West accounts for 7.2% of total UK manufacturing exports. The region has one of the lowest exposures to the EU market compared to other regions, with its exports spread evenly across the globe. The country’s fortunes remain well attached to the oil and gas industry with rising oil prices providing a boost to the region with seven quarters of output expansion in a row. This was also reflected in positive balances for employment and investment, even if these remain below the UK average, and showed some volatility quarter to quarter. Employment in particular suffered in the period between the end of 2017 and the beginning of 2018 when the North Sea oil pipeline was forced to close for a short period due to a fracture. • There were 189,000 manufacturing jobs in Scotland in March 2018, accounting for 6.9% of the region’s total workforce. • The region is also second in terms of manufacturing productivity with a score well above the national average at 114.6%. • In 2017, Scotland was responsible for 5.1% of total UK manufactured exports.